Rahul Gandhi stood shoulder to shoulder with the ‘Tukde Tukde’ gang at the Jawaharlal Nehru University. Bhopal: A Twitter post by Union finance minister Arun Jaitley indicating nexus between Congress and Maoists on Monday stirred a row with Chhattisgarh chief minister Bhupesh Baghel daring him to prove the charges. 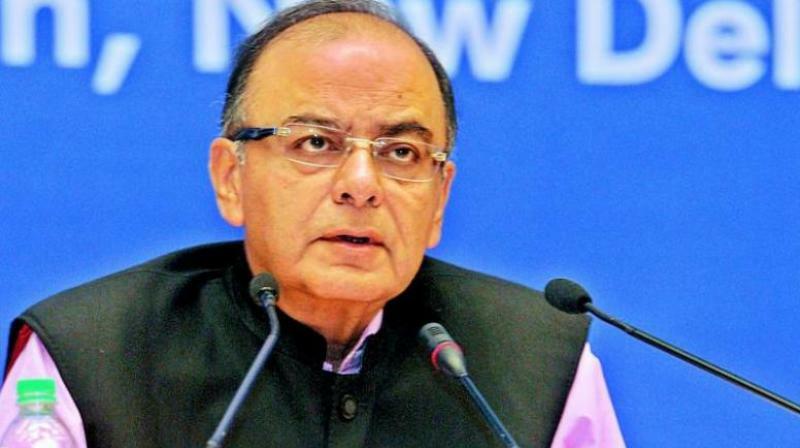 Mr Jaitley in his Twitter post said, “The Congress has aligned with the Maoist in recent Chhattisgarh elections. The Congress was in the forefront of defending the urban Naxals in the court”. The post sparked a storm in Chhattisgarh assembly on Monday with members from treasury bench taking serious exception to it demanding Mr Jaitley to withdraw the charges and issue a public apology for it. “I challenge Mr Jaitley to establish the charges. Congress has absolutely no link with Naxals. As many as 29 Congress leaders including former Union minister V.C. Shukla, former Chhattisgarh Pradesh Congress Committee (PCC) president Nand Kumar Patel and former minister Mahendra Karma were massacred by Maoists at Jheeram Ghati in Bastar district in Chhattisgarh in 2013. Had Congress any association with Maoists, its leaders would not have been killed by them in such a brutal manner”, Mr Baghel said. He demanded a public apology from Mr Jaitley for making “baseless” allegations against Congress. Former chief minister and BJP national vice-president Raman Singh however supported Mr Jaitley’s post recalling that Maoists were “for the first time” did not give poll boycott call in the last assembly elections in Chhattisgarh. “This gives rise to suspicion on nexus between Congress and Maoists in the November assembly elections in Chhattisgarh”, he added. Congress has swept assembly elections in Bastar by security 11 out of total 12 seats in the belt.